1. Bagels–We made bagels for the first time using the King Arthur Flour recipe. 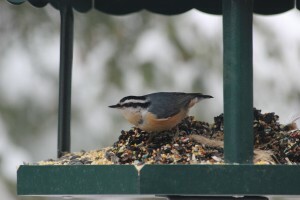 They have a great site for recipes and a great blog showing you how to do the recipes. 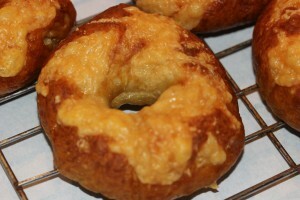 Here’s the link to the blog: http://www.kingarthurflour.com/blog/2013/01/13/asiago-bagels-pretty-cheesy/ We used Parmesan instead of Asiago cheese. Delicious! 2. Lists–I love the ALA and NCTE awards. I love lists like BFYA and Notables. I find lots of new books to read on these lists–and love seeing friends on them as well. 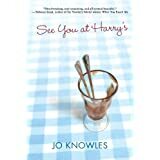 Special congratulations to my friend and writing partner Jo Knowles for making both BFYA and Notables with her book See You at Harry’s. I love this book! 4. During January I read 34 picture books! I’ve found some fun ones in my random-pulling-off-shelves. A couple favorites: Little Bird by Germano Zullo, Henry and the Cannons by Don Brown, Green by Laura Vaccaro Seeger. 5. And now it’s February! Better get those taxes done!